Qualitative Risk Analysis is a simple and cost-effective way to manage project risks. Once you have identified the risks that could affect your project, you need to determine which ones you will spend time and money on. Risk analysis is the process of prioritizing risks based on the probability of the risk occurring and the impact it would have on the project. The main difference between these two methods of risk analysis is that qualitative risk analysis uses a relative or descriptive scale to measure the probability of occurrence whereas quantitative risk analysis uses a numerical scale. For example, a qualitative analysis would use a scale of "Low, Medium, High" to indicate the likelihood of a risk event occurring. A quantitative analysis will determine the probability of each risk event occurring. For example, Risk #1 has an 80% chance of occurring, Risk #2 has a 27% chance of occurring, and so on. The rest of this article will focus on using qualitative analysis to prioritize and decide which risks your project should focus on. 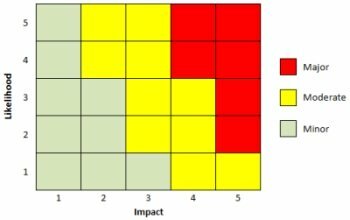 A Risk Assessment Matrix (RAM) is a tool to help you determine which risks you need to develop a risk response for. The first step in developing a RAM is to define the rating scales for likelihood and impact. Highly unlikely to occur. May occur in exceptional situations. Most likely will not occur. Infrequent occurrence in past projects. Likely to occur. Has occurred in past projects. Highly likely to occur. Has occurred in past projects and conditions exist for it to occur on this project. Remember, these scales are very dependent on the specific details of your project. For example, a "Low" likelihood of occurrence for one project may mean a risk event is unlikely to occur within the next 10 deployments. With another type of project "Low" may mean that a risk event is unlikely to occur within the next year. The impact scale for your project could also include other considerations such as scope, political, and employee impacts. With your rating scales prepared, you can create a Risk Assessment Matrix to help you categorize the Risk Level for each risk event. For example, if a risk event has a Moderate Likelihood of occurring and a High impact, it would be considered a Moderate Risk using the RAM shown above. Using your RAM and Rating Scales, you can then analyze the likelihood of each risk event occurring and its impact to determine what Risk Level it is at. 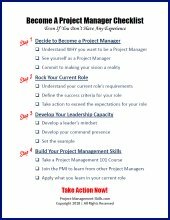 This will give you the information you need to prioritize your list of project risks. 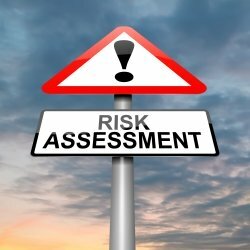 A qualitative risk assessment can also help you determine if there are any specific types or categories of risks that would require special attention or any risk events that need to be handled in the near-term. The most challenging aspect of performing a qualitative risk analysis is defining your rating scales. But once that has been done, you can use them for the duration of the project to effectively manage your project's risks in a timely manner. The goal of Project Risk Management is to identify project risks and develop strategies to prevent them from occurring or reduce their impact if they do occur. Learn the basics of risk management for your project. What is risk management? A practical definition of risk management including a 4-step process for managing project risk. Learn why risk management is critical for effective project management.